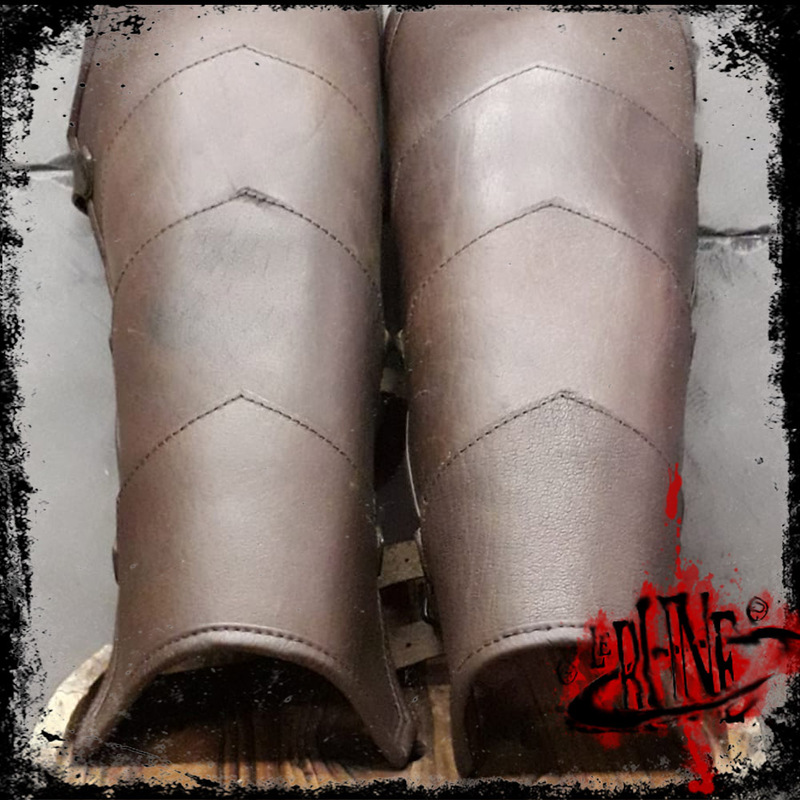 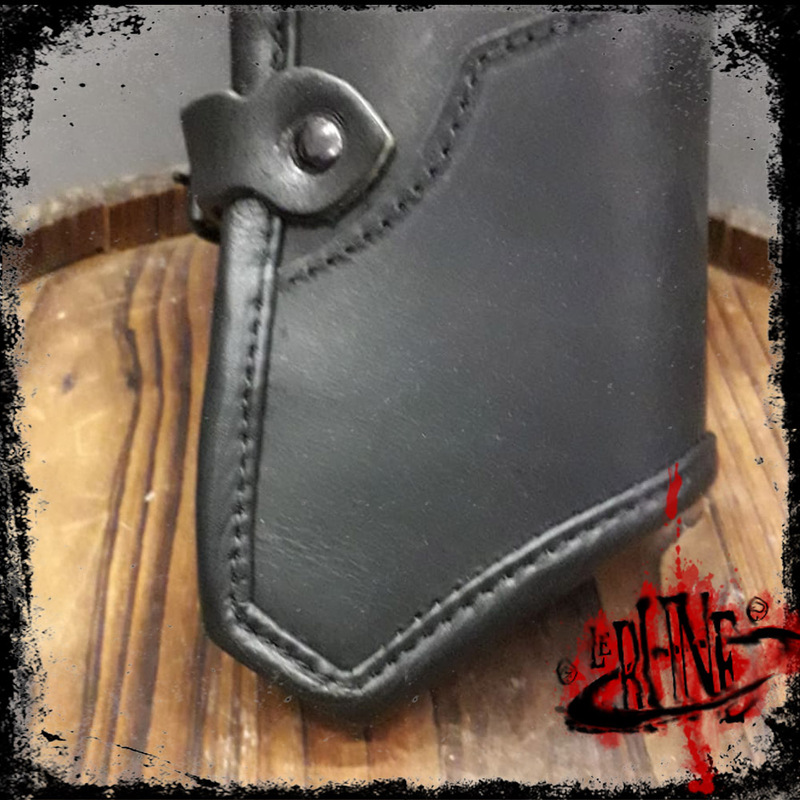 These greaves are produced from fine buffalo leather, with fancy design and soft leather border. 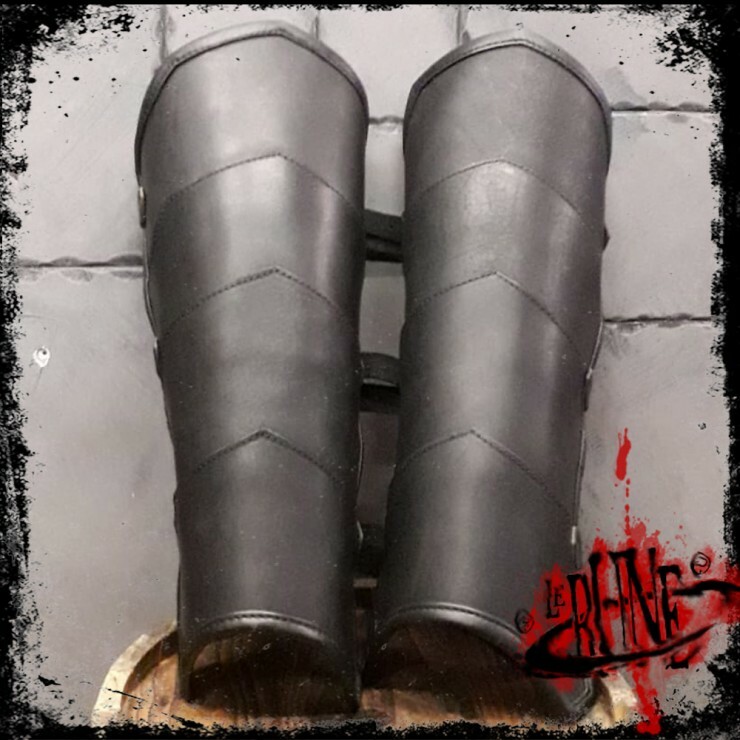 The second version of these greaves fits more comfortably on the leg. 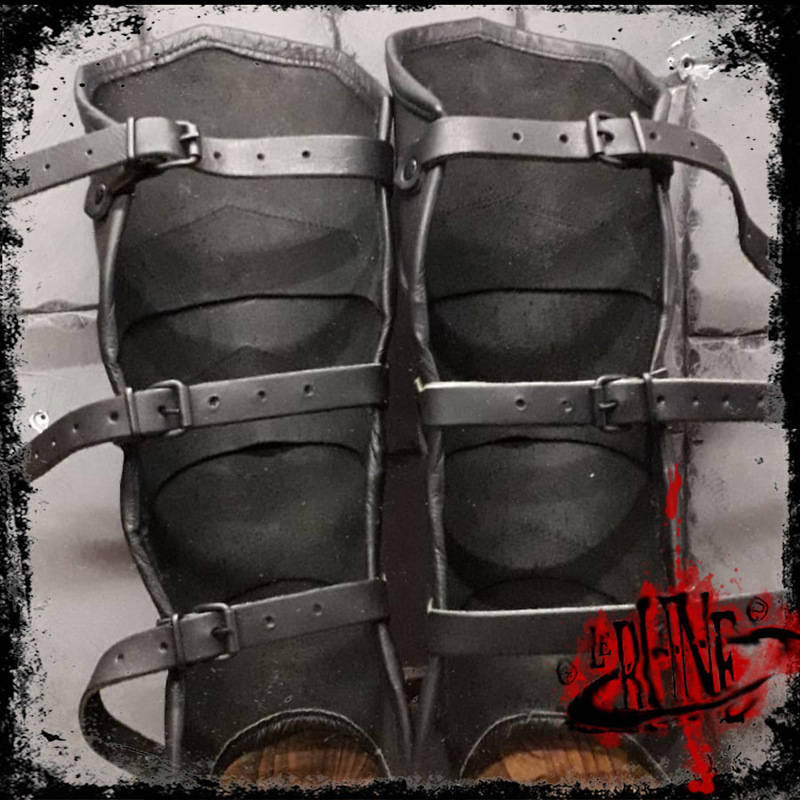 The greaves are closed with belts and strings on back side.